The real estate market of Florida has seen many ups and downs over the last few decades. Huge development was made in the 60s-90s to help sustain huge population growths, while at the same time the Florida market was one of the hardest hit during the credit bubble collapse. Much of the state is still a bit sluggish, but Florida as a whole continues to recover. 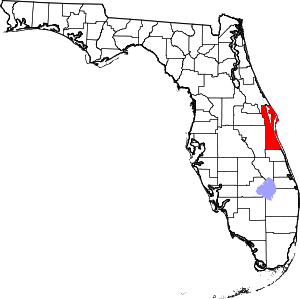 Area's in particular include the Brevard County regional area in Central Eastern Florida. Foreclosures for Orlando Medical City & Cocoa Beach Homes have been decreasing consistently, and one would expect home prices to increase dramatically in the near future. Here are a few reasons few reasons why you should expect the real estate market to improve in such a particular area. Things haven't changed much when it comes to planning out retirement. You finalize your 401(k), you make sure your loved ones are taken care of, and then you move to Florida. Retired seniors continue to seek housing in Florida as a place to move. In particular, seniors tend to flock together to places that are adequate for their needs, like Palm Bay, Ponte Vedra and Naples. For what seems like forever, it's been a buyers market, meaning there are more sellers than buyers in the market, which forces sellers to lower their prices if they need to sell their homes quickly. We've been in this situation for quite a while, and it seems that home sellers who needed to sell their homes quickly have already done so, and there are an increasing number of buyers who have been putting off making the big purchase for quite some time. Additionally, mortgage rates are becoming more enticing, overall economies have been improving, and buyers have more money in their pockets than they did a year ago. When searching for a state with the most diverse economy, Florida tends to come up with the number one spot. You can find anything from technology, manufacturing, farming, logging, hospitality and health care in the state, and many of the markets are on the rise. Additionally, unemployment rates have continued to decline at a healthy rate since July. The health of a local economy has a huge impact on the health of the local real estate market, and there's a strong indication that real estate markets in areas like Orlando, Medical City and Cocoa Beach will all do well.